Community offers pool, bath house, sport court, soccer field, & playground! MLS#21635362. ERA Real Estate Links. Community offers pool, bath house, sport court, soccer field, & playground! MLS#21635358. ERA Real Estate Links. Sandstone Ridge - Enjoy Mater Bedroom’s Valuted Ceiling, And An Ensuite Bathroom W/ Deep Garden Tub Oaisis; Lots Of Natural Light And Counter Space Make For Vanity Haven. Don'T Miss Out! MLS#21635288. Keller Williams Indy Metro NE. 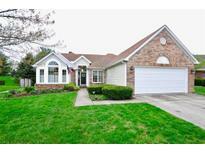 Close & Convenient Fishers + Easy Commute to Downtown Indy! Water heater 1yr New. MLS#21626455. Keller Williams Indy Metro NE. 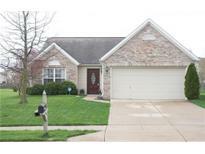 Foxrun - Family-friendly neighborhood near Geist, shopping/dining. Award-winning HSE schools! MLS#21632958. Keller Williams Indy Metro NE. Foxrun - Imagine summer nights on the screened in porch with one of the best lots! MLS#21631853. F.C. Tucker Company. This one won't last long! MLS#21633327. CENTURY 21 Scheetz. Rolling Meadows At Hoosier - Show today and it will not disappoint! ! MLS#21635164. CENTURY 21 Scheetz. 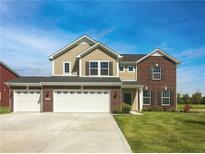 Enjoy 4 car heated garage w indoor sports court & award winning HSE schools. MLS#21633146. Berkshire Hathaway Home. Photos shown may be an artist rendering, model home, or of same model. MLS#21633628. CENTURY 21 Scheetz. Entertain all summer long on the patio & enjoy the fully fences back yard with fire pit. MLS#21633637. Keller Williams Indpls Metro N.
Photos shown may be an artist rendering, model home, or of the same model but in a different Lennar subdivision due to current construction stage. MLS#21633462. CENTURY 21 Scheetz. Westminster At Fishers - 4-foot garage bump-out for gear/tools. Neighborhood pool, playground! MLS#21632960. M.S. Woods Real Estate, LLC. Photos shown may be an artist rendering, model home, or of the same model but located in a different Lennar subdivision due to current construction stage. MLS#21633443. CENTURY 21 Scheetz. All of this and the HOA takes care of the yard and snow removal. MLS#21634983. CENTURY 21 Scheetz. Limestone Springs - Wonderful relaxed neighborhood has swimming pool, workout center, club house, walking trails, playground, basketball and volleyball courts. MLS#21632653. CENTURY 21 Scheetz. Eller Run - The owners built this home and have taken excellent care of it. MLS#21632680. CENTURY 21 Scheetz. Sweet Briar - 3 bedroom, hall bath & a loft round out the upstairs. Pool & Playground in n'hood. MLS#21633706. Berkshire Hathaway Home. Westminster At Fishers - Check out the walk-in closet and master bath that includes a stand-up shower, separate garden tub and private water closet. MLS#21632871. 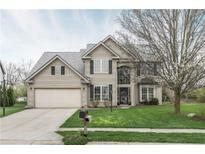 Keller Williams Indpls Metro N.
Sunblest Farms - Prime location in the heart of Fishers close to Holland Park, Nickel Plate District, dining, and entertaining. Top rated Hamilton Southeastern Schools. MLS#21633789. F.C. Tucker Company. This is a must see house! MLS#21633830. BandWagon Real Estate, LLC.